Keith & Ezra's new CD & DVD, "My Best Day," is a lively LIVE recording, AND it's nominated for a Grammy! This is their third disc to be nominated. You can enter to win an autographed copy. They were kind enough to take a few minutes out of their busy schedule to answer a few questions. 1) You've been making your own music independently for a long time. Do you enjoy being Indie artists? What are the advantages? Initially, the idea for being independent artists was the only option we had. No Major Labels were beating down our doors so we decided to see what we could do for ourselves. We were amazed that we could actually make money releasing our albums on our own label, Trout Records. The advantages of doing it yourself are that you control content on your records and the albums you release don't go out of print. Being independent has been especially advantageous to us as our music is so hard to categorize. And yes, we do enjoy anything that helps us keep playing music. 2) Most of your songs are geared for children, yet have an equal appeal for many adults. What makes it appealing to both groups? The humor? Musical styles? We actually make albums for adults as well as children. When we do children's projects, we bring the same writing and production values to the table. Kids know if they're being talked down to and kids and adults appreciate the authenticity of the music. Most of our subject matter is taken from everyday life looked at from a slightly different angle. 3) When you write songs do you work on melody or lyrics first? How does the process go? Almost all of our songs are co-writes. Keith is generally the lyrical generator and Ezra is primarily the musical generator. That being said, we'll take it any way we can get it. Sometimes we start with lyrics and sometimes we start with music. After we get started, we're both involved in all aspects of the process. 4) "My Best Day" captures the warmth & energy of your best live performances. What helped make it successful? The audience? Being well practiced? Thank you. My Best Day is a result of years of performing together. The way it worked, we only had one shot at recording the performance so what you hear is what we did in one show. The audience that attended that day was incredibly inspiring. Over 1,000 people from at least six states were there and their enthusiasm was palpable from beginning to end. 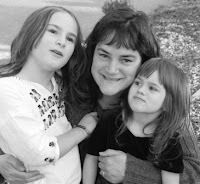 5) My kids & I love "My Hair Had A Party Last Night." Is that tune autobiographical? Exactly whose hair are we talking about? Ezra's son, Steven, looked in the mirror one morning and casually commented, “Hey Dad, look, my hair had a party last night.” As soon as Steven got on the bus for school, Ezra called Keith and said something like, “I don't know how it goes, but our next song is going to be called My Hair Had a Party Last Night.” But then again, there are a lot of Hair Parties out there. 6) Which song(s) is/are your favorite on the disc? Why? It's hard to pick a single song as a favorite. Each song has an important part of the whole show. One leads to another. Keith does especially enjoy the performance of The Day Care Blues and you've got to love a Simon Says game with 1,000 people playing. 7) In the past few years more artists have been producing children's music. What do you think about that development, & kid's music now? Any advice for these artists? The thing that is most exciting about children's music today is that more and more artists are writing and performing quality original music that inspire both kids and adults. If you can do that, then you've succeeded. 8) It looks like your busy touring. Are there favorite or new places you look forward to? With My Best Day, we just received our third Grammy nomination. We're looking forward to taking our families to Los Angeles in February of 2007 for the award ceremony! 9) Any new developments or upcoming projects on the drawing board for the coming year? We plan to continue touring and writing. We hope to eventually go to Idaho. That's the only state we haven't been to. 10) Thanks for your time. We look forward to seeing you when you're in our area & best of luck at the Grammys. Do you have a message for the kids & parents? Our best advice for kids and parents is, learn to swim and enjoy your lives! CONTEST: Win a new Trout Fishing CD or DVD!!! Autographed by Keith & Ezra!! You can win Trout Fishing in America's "My Best Day" CD or DVD!!! This just might be your best day. Winners will be chosen at random from all contestants. End of contest: Midnight 12/31/06. Bill & I started chatting this past summer in preparation for my guest DJ spot on "Spare The Rock." We quickly realized we had similar tastes & backgrounds in alt/indie/punk & a variety music. 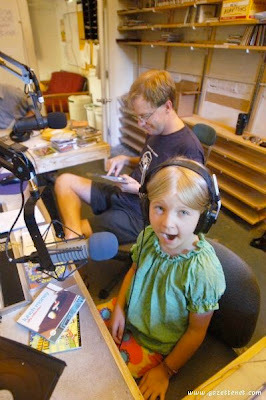 Then I discovered that Bill co-hosts the show with his young daughter Ella. The playlist is an eclectic blend of tunes. But the homey feel of father & daughter spinning discs & talking music is wonderful! 1) Ella, how does it feel to be a co-host of a radio show? "I don't know. I like it." 2) (Bill & Ella, separately) What are your favorite bands or songs? Ella: "My favorite band is They Might Be Giants, and my favorite song is Dr. Worm." Bill: I like a ton of music. I grew up in the Twin Cities and love a lot of the '80s and '90s bands - Suburbs, Replacements, Bob Mould, Husker Du, Sugar, Soul Asylum - from there, but also from all over from that era (i.e., fIREHOSE, Soul Coughing, Dead Kennedys, etc., etc.). I like TMBG a ton and have for a long time. Among today's bands, I like Flaming Lips, Lucinda Williams, Old 97's, Gourds, Ben Folds, Mates of State, New Pornographers, Ben Kweller, Shins, The Hold Steady, etc. I also play the violin and have since I was 9, and love classical music. 3) (Bill) How much input does Ella have in the show's content? It varies mostly based on her mood. I'm trying to increase her role in all aspects of the show as her confidence increases. She now does virtually all of the engineering and she's choosing more records to play too. Part of the problem is that the CDs in the studio are too high for her to reach, so she can't just scan through like I do. But I'll often grab a bunch of CDs and then she'll choose songs. She almost always at a minimum chooses the TMBG songs for the start and the end. 4) (Bill & Ella) Do you tend to agree or disagree? 5) (Bill) I champion quality indie artists over those produced by major music companies. Do you feel the same? I certainly make an effort to find more indie artists, but wouldn't say that it's "over" major labels either. As you know, we start and end every show with TMBG, who is on Disney. I think the fact that we end up playing more indie stuff is more reflective of the fact that we tend to like indie stuff more -- it tends (on average, not universally) to be a bit quirkier and more interesting to me. So we play more indie music probably for the reason that I own more indie music -- I just, mostly, like it more. 6) Bill, I noticed that many indie kids artists & DJ's have a fondness for new wave & punk. Why do you suppose that is? Heck of a good question. Maybe most of the people of parenting age who were in Lynyrd Skynyrd cover bands have dropped music as an interest, and that left those of us whose ears were destroyed by seeing Fishbone? That's probably at least part of it -- the people who were really into more obscure music are those who were insane/obsessed/interested enough to maintain the interest. 7) When CD's arrive for possible airplay what are you looking or hoping for? 8) What kind of music would you like to see explored by a kids band or artist? More alt-countryesque stuff. There are some artists doing some good "real" country -- Biscuit Brothers, Buck Howdy, etc. -- but nobody sounds like the Gourds or Old 97's to me. And since those bands do virtually nothing that's kid-friendly, I want some. 9) I love the mellow, homey feel of your show. You've invited artists to participate as well. Are there certain moments that really stand out? Shucks, thanks.We've really enjoyed everyone we've had on the show. It was a particular pleasure to see Ben Rudnick & Friends record songs for us at a local studio -- phenomenal musicians with a real chemistry. He was the first artist we had on the show, too. Two artists who I'd liked before but really loved in-studio were Keith Munslow and Josh Levine. And your friend Danny Adlerman -- who's been on twice, once by himself and once with Kevin Kammeraad -- was a bucket of fun.All of the guest DJ sets (including yours!) have been really interesting -- a chance to see what folks have been influenced by and what they play for their kids. ScribbleMonster and Monty Harper's filling in for the entire show were a lot of fun to hear too. ScribbleMonster is doing it again on December 30. 10) (Ella) What grade are you in & what's your favorite activity at school? What do your friends think about you being on the radio? Do you have ideas for future shows? "2nd grade, and I like social studies; we're studying Japan. My friend Chloe thinks it's really cool that I'm on the radio. I don't have any idea for future shows." 11) (Bill) Congratulations on the Minnesota Parent magazine column! What's next for you? I'll presumably keep doing my day job and try to get tenure (I'm a law professor). As for kids' music, we'll keep doing the show as long as Ella wants to, and Liam after that if he's interested. He's starting to learn more about being on the show, which is fun. I'm also writing a column for our local parenting magazine, Valley Kids, and would be happy to syndicate the column more. We've been booking some kids' artists into a couple of venues here, and I'm hoping to start helping some more places get family concerts together.And of course, we have more in-studio guests, guest DJ sets, and all the rest coming up -- and (eventually) the song TMBG is writing and recording for us! Thanks for the questions and for all of the great interviews you've been doing, Yosi! Spare the Rock, Spoil the Child" on Valley Free Radio • 8 to 10 am Saturdays • Northampton, Mass. • 103.3 FM. Interview: Gwyneth & the Gooney Bird Girls. Gwyneth & her daughters, Camille (8) and Chloe (4), have their very own children's music radio program on Live365.com. It's called Gooney Bird Radio! How cool is that?! 1) What made you decide to start up Gooney Bird Radio, & give it that name? We started our musical journey in Ralph's World. After a year or two there, we felt that, while we really enjoyed living there, it might be fun to venture out and expand our horizons. After listening to "Spare the Rock" for a while and then stumbling across Live365, I figured it could be a cool homeschooling project for us...I wanted to give my girls a chance to hear themselves on the radio. I struggled with the name ... I'm not a fountain of creativity. My family nickname as a kid (well, now too) was Goonie Bird, so I went with that. I though it had a nice ring to it. I'm not sure why I changed the spelling. Had someone already claimed it? Or did I want to distance us from "The Goonies"? The reason escapes me now. 2) You must get a lot of CD's. How do you choose what gets on the air? I was really shocked the first time someone offered to send us a free CD. It wasn't something that I had even considered might happen. At this point we've settled into a certain format, but we are evolving, so it might be different next week. Right now, we update the station once a week. We have a few featured artists, and we work our way through their latest album, playing a few different tracks each week. We also have some themes, based on something we saw or did that week. Themes like colors, trains, pirates, etc. There's also our weekly favorites, which the girls and I pick. I try to pay attention to what CDs they listen to during the week, and I also try to pull out a few that we haven't listened to in a while. We spend a lot of time in the car and thus end up listening to quite a few CDs each week.As time goes on, I'd like to have the girls do more "announcing", recitations and storytelling. 3) Camille & Chloe, what's it like being home schooled? Do you have to sit across from mom while she lectures all day long? Chloe's answer "Does he have a lot of questions? Too much questions!" Camille's answer: "No , we don't; my mom helps me pick out good books at the library. I like to read fairy tales and history books. It's fun to be homeschooled; I get to read lots of history books, and sometimes do some math. Because I'm homeschooled, I get travel around the world. I've been to Scotland and France. I take a Latin class." 4) You seem to be driving all over the country. Is that a perk of home-schooling or do you live in a car? It is definitely a perk of homeschooling. The girls are used to being in the car, and we have lots of great music to keep us entertained on our trips.5) Gwyneth, what kind of music did you listen to when you were a kid? Does it influence your taste (or life) now?As a young child, I listened to music that reflected my parents' values. 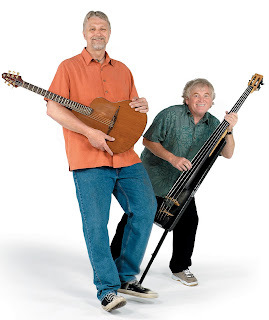 "Free to Be", Peter, Paul & Mary, musicals, classical music, campfire songs. It certainly influenced the first music that I bought for my kids, but as a family, we've moved a bit away from there. I don't know that the music itself influenced my life, but it was one part of a whole style of life that made me become who I am. 6) What do you think about the indie kids music scene? 7) Chloe, are you married? Chloe said: "I don't want to answer that." 8) Camille, what's it like being a big, very mature, incredibly smart older sister? Hmmm. My sister and I enjoy playing games and doing projects together, but sometimes she can get a little annoying. 9) Gwyneth, what do you want to do when you grow up? 10) How is Internet Radio (Live365) different from AM,FM or XM Radio? Are you actually spinning discs 24-7? When do you sleep? We take shifts. Camille is a night owl, so she's on 8pm-4am. I like to get up early, so I'm on 4am-noon, and Chloe gets noon-8pm. Right? Okay, not at all. We spend a couple hours once a week picking out tracks and uploading the mp3 files to Live365. The set list (usually 3-4 hours long) that we create from those tracks is then a continuously playing rotation.